Sri Lanka, Thailand and Vietnam). We offer original itineraries, experienced guidance and logistics for pilgrimages as well as independent trekking and touring — from easy day hikes and comfortable hotels, to strenuous, multi-day treks camping at high altitudes. 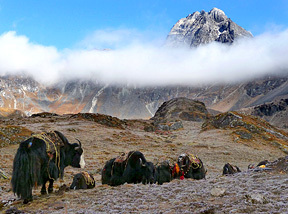 We produce complete trek and tour packages as well as create independent custom itineraries based on your needs. Bhutan: Plan Your Next Celebration Here! celebrate its unique and authentic culture — you can join in! Here are the new 2017 dates for Bhutan's annual festivals. So many ways to have a high trekkin' celebration, so plan a visit soon! Need That Special Custom Fit? You Can Customize! and throughout the high Himalayas. Explore the best of Burma, Cambodia, Indonesia, Laos, Thailand and Vietnam too. Your trip, your way — for that custom fit! Ladakh: A Markha Valley Family Adventure! We helped Jennifer & family on their two week adventure in northern India. and they are sharing it with you! Check out their fantastic trip report and great memories. Never heard of Ladakh? Maybe it's time to find out more! 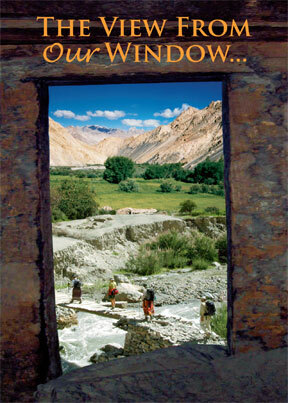 Hidden Himalayas & Southeast Asia With Just A Few Friends! Eight Is Enough When You Join The Trip Of A Lifetime! 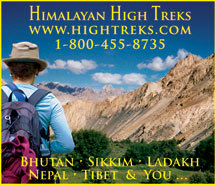 Himalayan High Treks... Small–Group Scheduled Trips! 1. Never More Than Eight. 2. Only The Special Places. 3. It's Time To Go! For the independent traveler, Himalayan High Treks will plan your trip with you while offering knowledgeable suggestions for getting the most from your time, effort and money. You receive a complete daily itinerary, detailed pre-trip notes, a packing list, suggested readings, practical medical and physical preparations and other resources to add meaning to your journey. you might have as you prepare. and safely while maintaining respect for communities, cultures and environments you encounter along the way. • Himalayan High Treks Nepal relief donation program offered direct aid to our staff, schools and damaged villages after the 2015 earthquakes. Many clients and friends of HHT supported and contributed to our Nepal Relief Fund, raising over $25,000 in donations! Your support was transferred directly into the local community to provide emergency shelters, temporary classrooms and trekking gear to many who lost their homes in some of the most remote terrain on Earth. Our fund is now closed but we thank you for your support. • We have distributed aid to small, isolated villages and people that other organizations never reached. At first, we focused on providing temporary shelters and distributed hundreds of tarps and tents. One early achievement was to create a temporary school in remote Dhikure Village, at 9,000 feet. 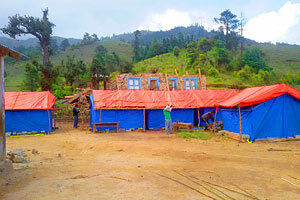 The school was made from five, extra tall, 10' x 10' dinning tents and tarps. 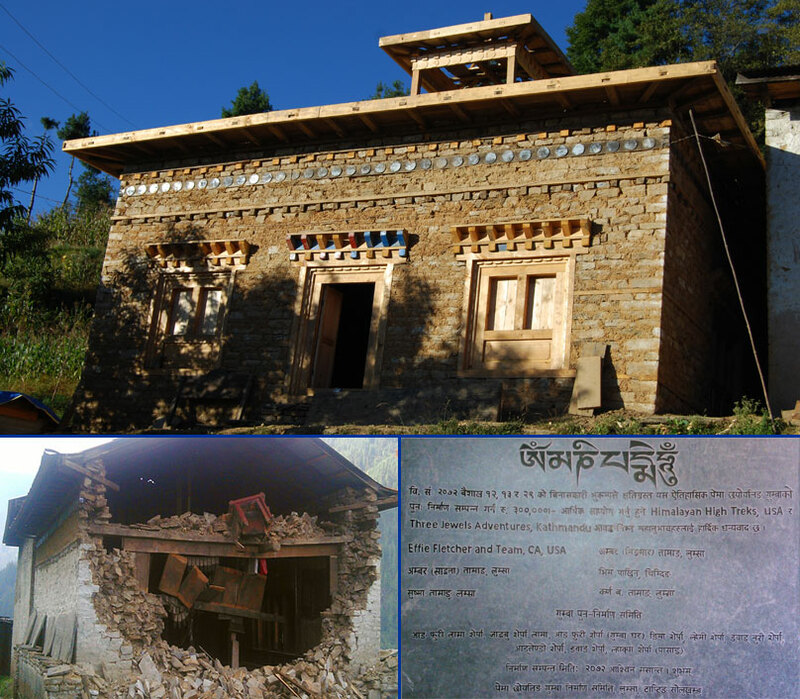 Later, we were able to fund the reconstruction of Lumsa Gompa which now serves as a community center as well as a Buddhist temple. And we continue to support tourism recovery. • HHTs first transfer of donated funds reached Nepal on May 4, 2015, less than 10 days after the initial earthquake. We are grateful that our staff is safe, though everyone has suffered property damage and loss of wages due to canceled treks. HHT was able to help put them to work helping others in greater need. A slow recovery continues, thanks to your generosity! Our fund provided direct community support to those in need and we are so grateful to each of you for helping make our humble effort possible. Photos — Top Set: Lumsa Gompa today. Below, after the May 12, 2015 earthquake and a plaque commemorating the reconstruction. Middle: Our funds helped to create a temporary tent school in Dhikure Village. Bottom: With your generous help, school resumes and hope remains!